The woods around Southfog has many secrets. 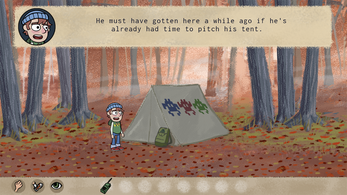 You never know what you're going to find on a camping excursion with a friend - but wait, your friend isn't anywhere to be seen. So now you are alone in the woods - or are you? 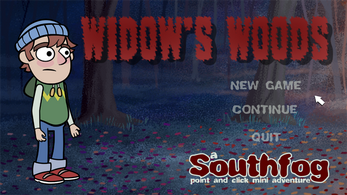 Widow's Woods is the first in a series of short point and click adventures set in the small township of Southfog, where mystery and the unusual abound. Use the mouse to control the cursor, and left click to interact with objects on the screen. I've made a few more changes so that I can feel that the game is completely complete. - improved the logic of one of the puzzles, to reduce the frustration it created for some (most?) players. - changed the name of this mini adventure. 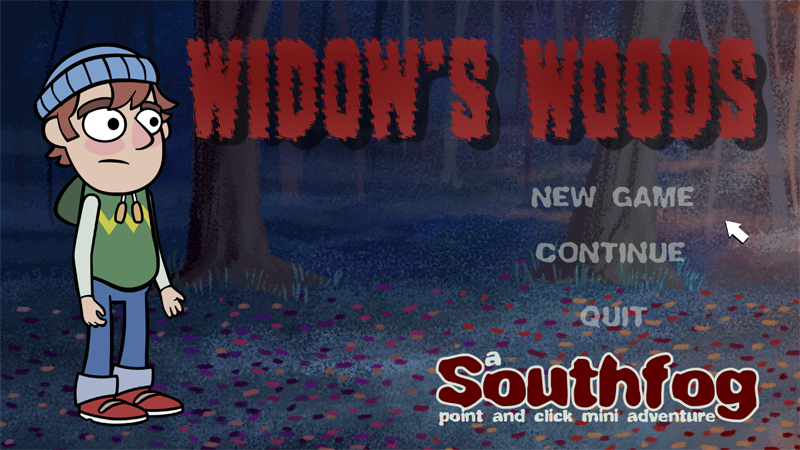 Originally called "Southfog - A mini Adventure" and then "Southfog - Alone in the Woods" and now, with the completed game I have finally decided upon "Widow's Woods - A Southfog Mini Adventure". - added a Linux version of the game, but I have no way to confirm that the game runs. If any Linux users could give me feedback on whether the game runs for them or not, it would be really helpful. The biggest change here, is the addition of an online browser playable version. I have also fixed a couple of errors, and consider this version to be the final version, unless someone reports some bugs and I will fix them ASAP. Also removed the ridiculous ESC quits game flaw. - finally, different actions rather than just one all-purpose one. You can use, look or walk. This gives a lot of different comments on examining things or trying to use items together. This is a very short point and click adventure I made to help me learn how to use Visionaire Studio 5. But essentially, it is just a trial run to know the strengths and weaknesses of 1) myself and 2) the engine, before commencing plans on a much larger game. Controls are with your mouse and left mouse button. Widow's Woods is inspired by many different things. 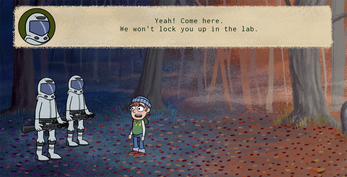 There's a little bit of Gravity Falls, Stranger Things, Unforeseen Incidents and maybe a few other things too. I would love any kind of comments that you would like to make - positive or negative comments are both welcome. Download and unzip the file. Double click on the WidowsWoodsSouthfog app tor run. Thanks for the comment. Yes. A save feature will definately feature in future games. I thought it was too short to need one in this one. What do you think? I will add one if people think it necessary. Also, do you have any suggestions concerning accessibility or any other points. I am very open to suggestions or criticisms. That is very cool idea and I like Gravity Falls feel. I wish the main character would walk faster or run, but I really like design in this game especially backgrounds. Thanks very much for the feedback. I have just made an update to complete some missing features, and I increased the walking speed too.